05-30-75 O.S. 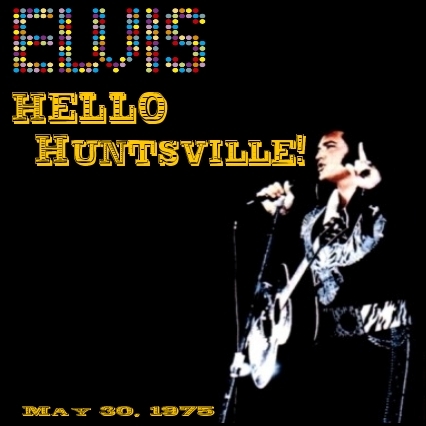 "Hello Huntsville" (Good to Very Good Audience Recording)Finally the fans can have the 1st of the Huntsville 1975 performances, and this one happens to also be the opening concert of the June '75 Tour. As usual for this tour, Elvis is in a terrific mood and ready to sing his heart out on this night. A wild crowd was in attendance that night. Taken from a 1st generation audio source, this is a very decent audience recording of a previously unreleased performance.